Niramla Sitharaman said the government decided to go for procuring only two squadrons of Rafale jets as an emergency measure in the wake of China and Pakistan significantly ramping up their air power. Amid a political furore over the multi-billion dollar Rafale fighter jet deal, Defence Minister Nirmala Sitharaman has suggested it is futile to engage opposition parties on the issue when all facts have been already placed before Parliament. She also said that the Opposition has "misled" the country and thrown unsubstantiated allegations on a sensitive issue concerning India's defence preparedness. Ms Sitharaman made her remarks on the issue on Thursday during an interaction with journalists of news agency PTI. On Saturday, the Defence Ministry said Ms Sitharaman had not said that the opposition does not deserve to be engaged. Ms Sitharaman said the government decided to go for procuring only two squadrons of Rafale jets as an emergency measure in the wake of China and Pakistan significantly ramping up their air power by inducting stealth fighters. "Is there any point of calling them and explaining? You (opposition) are misleading the country with something which was not even agreed to during the UPA government. You are throwing an allegation saying there is a fraud. You did not care for operational preparedness of the air force," she told news agency PTI in an interview. The defence minister was asked whether the government will engage with opposition parties and should have taken them into confidence, the way the then Prime Minister Manmohan Singh in 2005 had taken the Opposition into confidence and addressed their apprehensions to pave way for finalising the nuclear deal with the US. "It (Rafale deal) is an inter-governmental agreement. They (Opposition) have asked us questions and I have given answers to them in Parliament. Then what am I calling them for? What am I going to tell them when I call them?" she said, virtually ruling out any engagement with the opposition parties. On Saturday, Congress national spokesperson Priyanka Chaturvedi slammed the defence minister in a tweet, saying the "false bravado and arrogance seeps in when one has no answers". National Conference leader Omar Abdullah said, "The arrogance on display here is breathtaking. No government should refuse to engage with opposition parties. The current government keeps lowering the bench mark with amazing regularity." A defence ministry spokesperson on Saturday clarified that the minister "didn't use the words 'opposition doesn't deserve to be briefed' and the contention was to state that facts have been placed before the Parliament". In the interview, the defence minister also asserted that the Rafale deal cannot be equated with the Bofors issue at all, as was being attempted by the Opposition, as she has rid the defence ministry from middlemen entirely. The Congress has claimed that the UPA finalised a price of Rs 526 crore per fighter jet while negotiating a deal to buy 126 Rafale jets, but the current government is buying each aircraft at Rs 1,670 crore. The Congress has also alleged that the weapons and avionics onboard the jets will be of same configuration as the old deal done by them. Ms Sitharaman said the weapon systems, avionics and other key add-ons to the Rafale aircraft will be "much superior" in comparison to what was negotiated by the UPA. 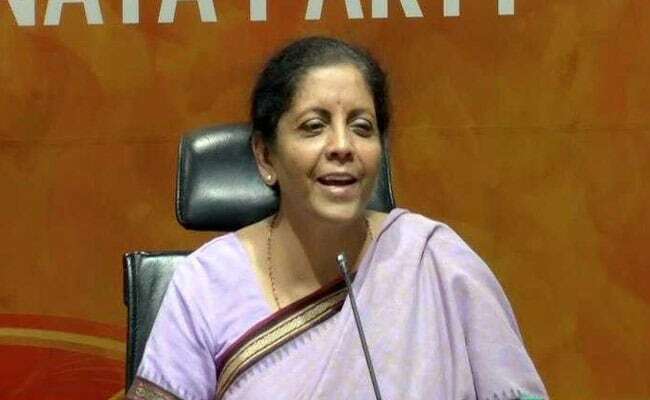 Ms Sitharaman also rejected the Congress' allegation that the government was trying to benefit Reliance Defence Ltd. from the deal under the offset requirement, saying the government has absolutely no role in selecting an offset partner of Dassault Aviation, the maker of Rafale. Ms Sitharaman said, officially, she does not know which company Dassault Aviation is partnering with to execute the offset obligations. "I have not got to know who is Dassault's offset partner... It is a commercial decision. There are laid down procedure to check the process of fulfilment of offset obligations. Neither I can accept, nor I can suggest, nor I can reject anybody from going with anybody," she said. The Opposition has been asking how Reliance Defence Limited (RDL), with no experience in aerospace sector, can be chosen as an offset partner while the government has been maintaining that it was officially ignorant of the fact that Dassault has joined hands with RDL to execute offset obligations. Rejecting allegations of corruption in the Rafale deal, the defence minister said the people of the country have put a closure on this "non-issue" as they have trust in Prime Minister Narendra Modi.